Google has made the pixels 3 screen larger than its previous pixel phone. Pixel 3 has a 5.5-inch OLED display. Google has taken lessons from their mistakes in pixels 2 and have tried this time that there is no problem with this phone's display. The best part is that the screen is bigger than other compact phones. If you compare pixel 3 display and new iPhone XS display, you will find that these two are almost equal. The feature of Google Pixel 3 is that it has got the latest Android update. This means that Android 9.0 pie has been used. Talking about the performance of the phone, it is going to give a better experience to the users. Snapdragon 845 processor has been used in this. If we compare it to the iPhone XS, then in the case of Apple performance it is far more than that. The Apple A12 bionic chip is mounted. However, if you compare it to Samsung Galaxy Note 9, you will find that it is much better in terms of performance. While companies are presenting their smartphones in new and attractive colors, the pixels only come in black and white colors. The same happens with some designs. Compile with pixels 2, it just seems that the company has not done much improvement in the design of this phone. It has a sainy glass on top of its back and matte finishing is given in the bottom part. 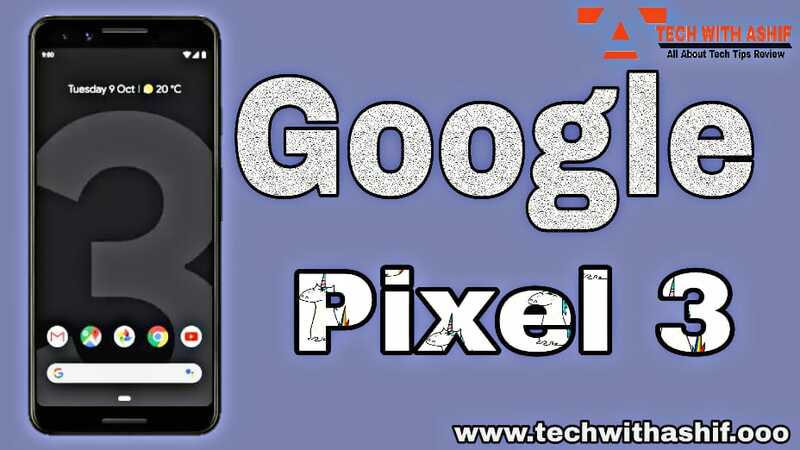 Along with the strength, it is also taken into consideration that it is not broken early when it falls.The best thing about a pixel phone is that it is very easy to use and you can use it with just one hand. Pixel 3 is a great handset for them who are fond of keeping an attractive handsfree. The 5.5-inch display of the handset is also perfect according to its design. For protection of the screen, the Corning Gorilla Glass 5 is installed and aluminum frames are also mounted around the phone.Now, comparing it with pixels 2, it looks a lot of sharp. In addition to all these features, fingerprint sensor and front speaker in the back part of the phone also make it one of the best phones category. Talking about the camera, Pixel 3 has a 12 megapixel + 2 megapixel dual rear camera setup, with pixel size of 1.4um and aperture f / 1.8. The camera has dual pixel phase detection with optical plus electronic image stabilization and field of view of 76 degree. This is the first pixel phone to have a dual front facing camera. At the same time, the 2nd camera is a wide angle lens, which can take better selfies, especially Group Selfie.By the way, the largest USP of pixels phones are its cameras. People who want to buy smartphones for good camera purposes, will be searched for this phone. The pixel 3 has a 2915mAh battery. Its camera is good but the iPhone is less than the XS. Once full charge, you can run it for 8-9 hours. The good thing is that pixels 3 fast charging supports, so that the phone is charged in less time. Although this is not as fast as the OnePlus 6, but better in charging than many other phones. Pixel 3 is a great phone to deliver Android Experience. Its performance will necessarily affect you. But by spending less than 40,000 rupees, you can buy such a powerful phone. We are talking about OnePlus 6, or OnePlus 6T launching can prove to be a better option in lesser range. However, its camera is unrivaled. So if you are fond of fathography, then this can be the best option for you.